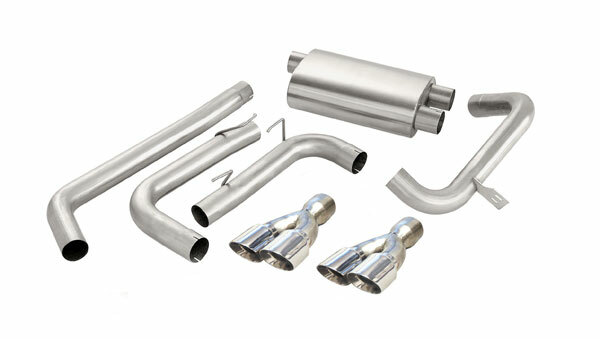 Corsa Performance 14143 - Corsa Exhaust System - Twin Pro-Series 3.5 Tips Camaro V8; 1998-2002. After months of intensive testing, Corsa Performance has just made it&apos;s patented Power-Pulse RSC (Reflective Sound Cancellation) technology available to Camaro and Firebird owners with a series of three-inch diameter stainless steel cat-back exhaust systems. 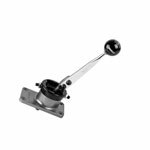 Constructed from three-inch diameter, 18-gauge aircraft quality T-304 Stainless Steel, Corsa&apos;s Ultimate system features smooth flowing mandrel bends and a Corsa RSC muffler that cancels unwanted sound frequencies with reflected sound waves. 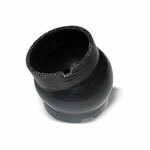 No restrictive baffles or perforated tube/packing materials are used, ensuring the ultimate in performance and sound. 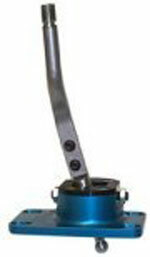 3.0” straight-through, nonrestrictive design, specifically tuned for the Camaro and Firebird. Flow bench-tested 103% gain in exhaust flow vs. stock system. Handcrafted, polished stainless steel tips for enhanced vehicle appearance. Direct bolt-on installation; no welding required. Limited LIFETIME WARRANTY for as long as you own your Camaro or Firebird. 50-state emissions legal. CORSA Performance exhaust systems are not warranted to meet anyspecific local, state or federal noise ordinances. Please check applicable laws before installing. There is no drone with the CORSA exhaust system because the CORSA exhaust system uses RSC technology to eliminate problem frequencies that cause interior drone/resonance at cruising speeds. CORSA&apos;s Chevrolet Camaro exhaust system features a patented non-restrictive Straight-through design reduces back pressure and frees up additional power resulting in improved horsepower and torque. As an additional bonus, your Chevrolet Camaro can result in greater fuel economy because of less back pressure and more power.